Although the weather hasn’t been consistently warm as one would like it is still spring and NIVEA has some tips that will have our skin looking fresh and feeling renewed. “Exfoliate rough skin over from winter weather to reveal softer, touchably smooth skin, just in time for spring. Reach for NIVEA’s Touch of Renewal Lathering Body Scrub with Hydra IQ technology that contains peeling particles that cleanse by gently removing loose dead skin revealing silky renewed skin. “Apply lotion immediately after the showering to lock in even more moisture. Be sure to pat your skin with a towel until dry instead of rubbing it to prevent irritated skin. Try NIVEA’s Skin Firming Hydration Body Lotion with Q10, proven to firm and tighten skin’s surface in as little as two weeks. It’s formulate with HYDRA IQ Technology that supports skin’s own hydration network to unleash non-stop moisture, lasting more than 24 hours. “Did you know keeping lips hydrate is the best way to maintain a plump pout? Moisturize your pucker, and add a pretty Spring shade to your look with NIVEA Kiss of Care & Color, formulate with a moisturizing core of nourishing Pro-Vitamin B5 and Shea Butter. 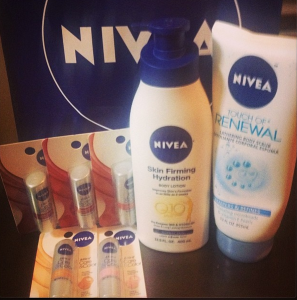 I am a faithful user and believer in most NIVEA products. Just last week I told you all how some NIVEA products helped get my skin back in order after a muddy and physical challenge. I love the Touch of Renewal Lathering Body Scrub and the Skin Firming Hydration Body Lotion with Q10 does help tone. My only wish is that NIVEA begin to incorporate spf in their lip products and will officially be hooked! Tell us how you incorporate NIVEA into your beauty routines to help get the perfect spring look. 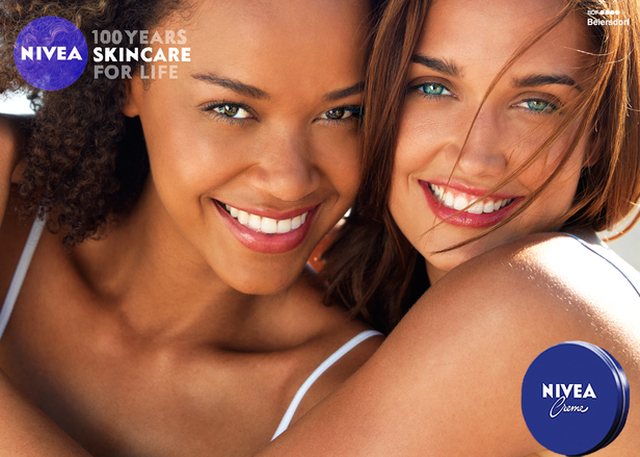 Share your favorite beauty tips with NIVEA on Facebook and Twitter using the #NIVEA Hashtag. Disclosure: The products in the picture were provided by NIVEA. All ideas and opinions expressed about the products are my own.